As about 1,000 participants from over 50 countries gathered for the 18th edition of the Global Food Safety Initiative (GFSI) Conference, World Food Safety Day (7 June) received strong endorsements. The delegates - food safety experts and decision makers from both the private and public sector - were invited to celebrate the recently proclaimed UN day as part of their collaborative efforts to drive improvement in food safety management systems globally. 📽️ | "Let me tell you a story..."
Via video message, Tom Heilandt, Codex Alimentarius Commission Secretary, invited delegates at the “GFSI & You” session to join forces with Codex to make the first World Food Safety Day a success. With an apple in hand, he explained how a prop can serve as a reminder and, by extension, having an annual observance dedicated to food safety can be a powerful way to expand public awareness. 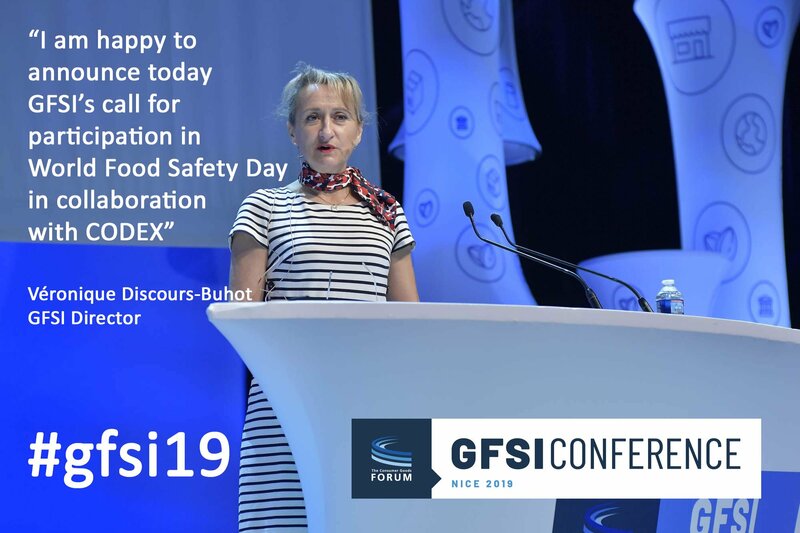 “Through these campaigns, we hope to collectively drive progress and scale up investments in safe food for consumers every day in every corner of the world”, said Véronique Discours-Buhot, GFSI Director of the Consumer Goods Forum, a Codex Observer and conference convener. 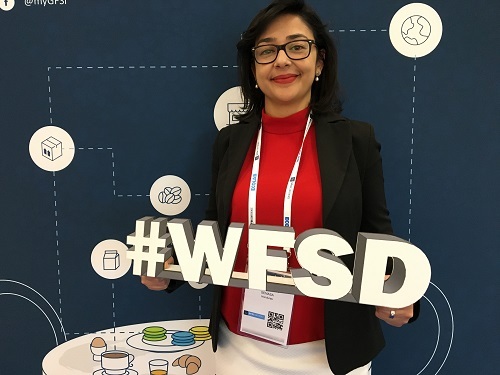 On noting the opportunities to promote safe food presented by World Food Safety Day and the GFSI’s 20th anniversary in 2020, she called Guilherme Da Costa, Codex Alimentarius Commission Chairperson, to the stage and handed him an apple. Da Costa accepted the apple, comparing the gesture to the way food changes hands during the production, processing, packaging and distribution phases, where Codex standards are used to help keep food safe. “Because Codex standards, guidelines and codes of practices are harmonized internationally, they help facilitate fair practices in the food trade while also protecting public health”, he said, adding that 7 June will be a time to celebrate, hold events, invite the media to spread the word and promote a wider understanding and deeper appreciation for safe food. 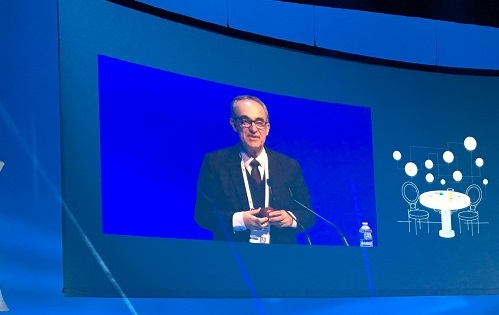 Centred on a theme of “Emerging challenges and the future of food safety”, the GFSI conference will run until 28 February 2019 in Nice, France, to examine some of the more pressing issues that the rapidly changing industry is currently facing as well as those that may be on the horizon. “One way for industry to stay ahead,” the GFSI Conference Committee noted, “is to look to science and academia, which are back on the programme in a bigger way for the 2019 edition”. While changes in consumer demand, global market place, science and technology may bring opportunities, the changes may also pose challenges. Government-to-business and inter-governmental dialogues preceded the conference, including two workshops on “data sharing and transparency” and “capacity building and opening markets for SMEs” that saw the participation of the Codex Alimentarius Commission Chairperson as well as Vice Chairpersons Mariam Eid and Steve Wearne. The exhibition area featured a photo wall, where Conference participants could take photos with an abbreviated version of the #WorldFoodSafetyDay hashtag.